Micro cache in the innerharbour in Kaskö. In the summertime there is a fish market in the harbour, but in the winter there is not much going on.. If you follow the beach south, there is a path that follows the shore line.. It's beautiful in the summer. North of the harbour is "Bladska gården", it was built in 1788. For a long time it was the largest house in town. The church was in this house for as long as 1965. 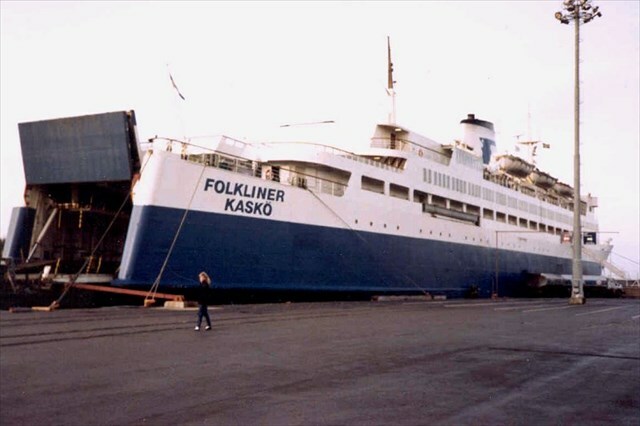 From year 1982 to 1984 there was a ship named Folkliner that sailed from this harbour to Gävle in Sweden. Bring your own pen.